South Portland players crowd around sophomore forward Bradley McMains (18) after he scored the first goal of the game during a 5-2 win over Scarborough on Saturday at Troubh Arena. 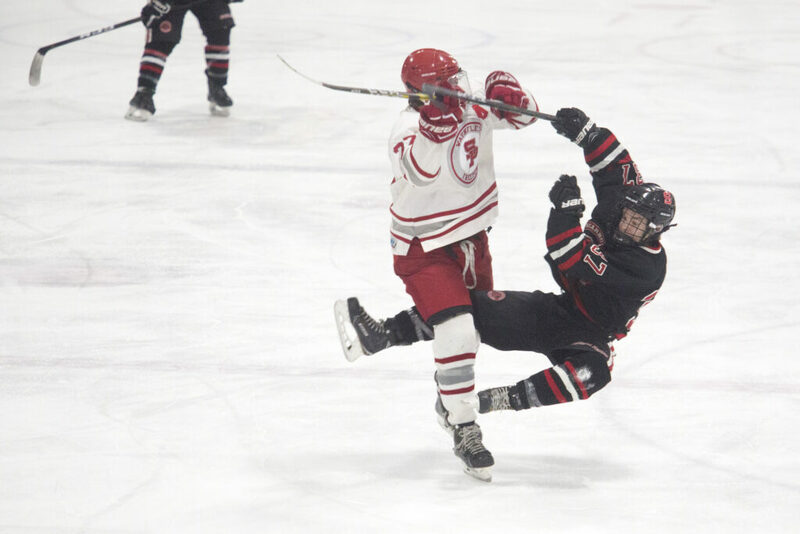 South Portland forward Bradley McMains, center, and Scarborough forward Cameron Budway fight over possession of the puck Saturday at Troubh Arena. 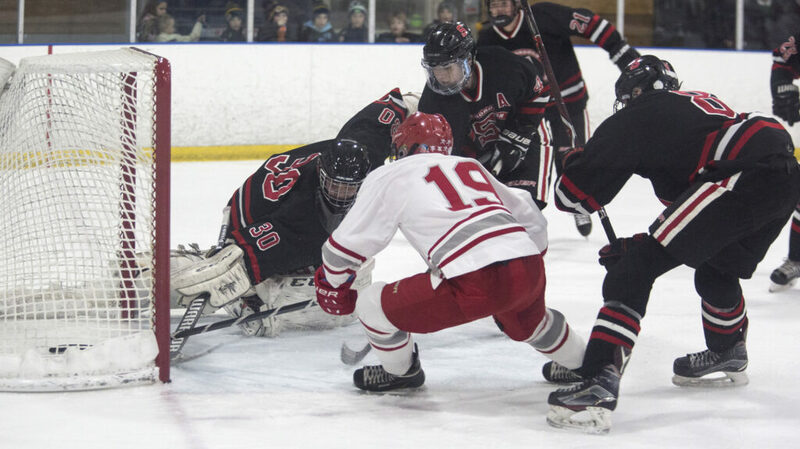 South Portland forward Mitchell Adams scores on Scarborough goalie Caleb Sellinger during South Portland's 5-2 win Saturday at Troubh Arena. 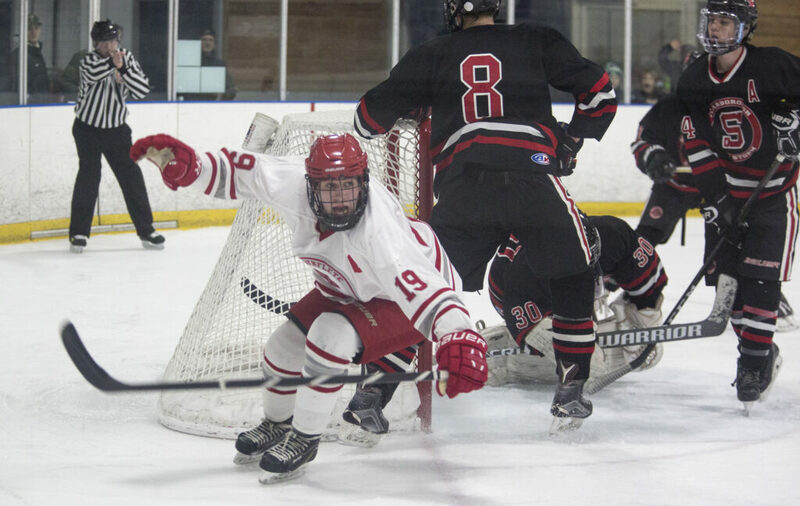 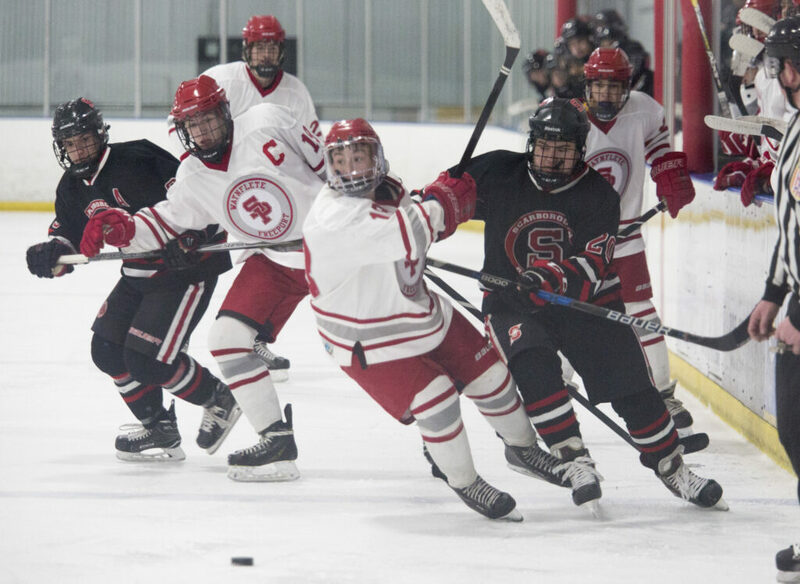 South Portland's Willets Meyer, left, knocks down Scarborough forward sophomore Zachary Chaisson during South Portland's 5-2 win Saturday at Troubh Arena. 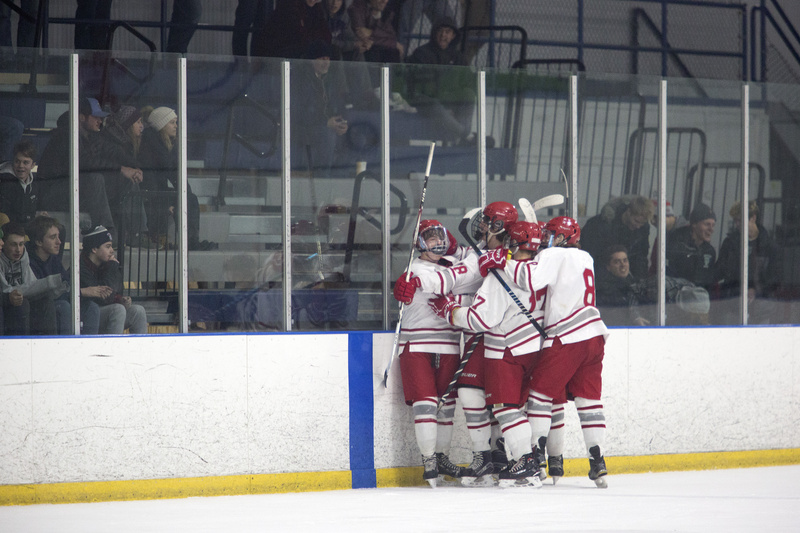 South Portland forward celebrates after scoring South Portland's fourth goal during a 5-2 win over Scarborough on Saturday at Troubh Arena. 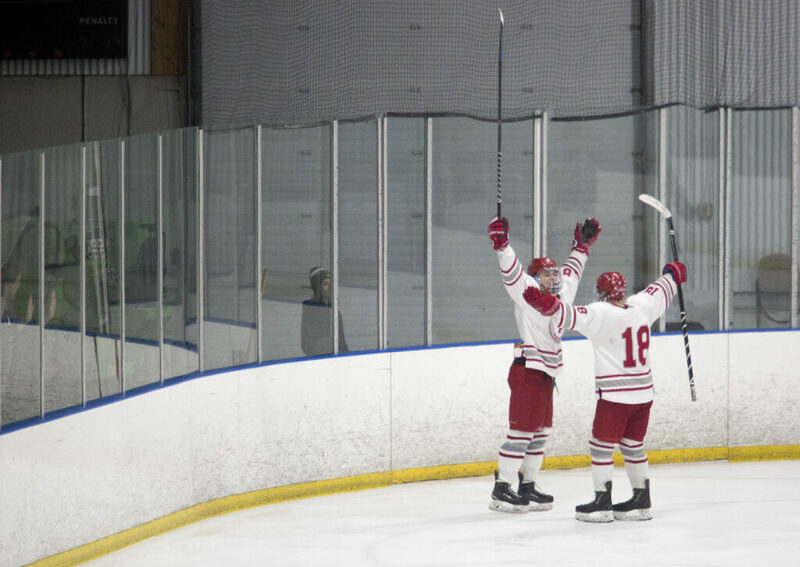 South Portland forward Bradley McMains, right, celebrates with teammate Eric Walker after walker scored in a 5-2 win over Scarborough on Saturday at Troubh Arena.